A Section 21 notice is the most common way for landlords to regain possession of their property – or, phrased another way, to evict their tenants. A Section 21 eviction is commonly known as a ‘no fault’ eviction, as opposed to a Section 8 when the tenants have broken the terms of the tenancy. However, a Section 21 is the quickest and most straightforward way to regain vacant possession of your property, so landlords often also use it to evict problem tenants, simply because it’s easier than proving fault. Equally, in many cases a Section 21 will genuinely be served through no fault of the tenant’s, and may reflect a landlord’s desire to sell, renovate, or move back into the property. The most important thing with a Section 21 notice is that you have to do everything absolutely by the book. If you cut corners in any way then you could easily end up on the wrong end of a court decision. What needs to be in place before I can serve a Section 21? For you to be able to serve a Section 21 notice, all the peripheral paperwork of the tenancy and the property needs to be in order. Your tenants need to have been provided with a gas safety certificate, an energy performance certificate (EPC) and a copy of the government publication How to rent: the checklist for renting in England. All this should have been provided for them at the start of the tenancy, but if for whatever reason it wasn’t then you need to sort it ASAP. Remember that the gas safety certificate needs to be up-to-date, so each time you get a new one you’ll need to pass a copy on to the tenant. If you’ve taken a deposit then it will need to have been administered correctly through an approved scheme, and if you’re running a house in multiple occupation (HMO), you’ll need to have your licence in order. This last point is quite important, since the definition of an HMO varies considerably depending on your local authority, and you might not realise you’re operating one. In some areas, even a two-bed flat can count as an HMO, so it’s always worth checking. You can’t serve a Section 21 during the first four months of a tenancy, nor can you serve one before the end of a fixed-term contract if there isn’t a clause that says you can. The standard notice period is two months, and in a change to the old rules, there’s no need to start fiddling with dates so the notice period ends exactly at the end of a tenancy. For more detailed information about timings and processes, check out the guide to evicting tenants at Gov.uk. Can I serve a Section 21 if there are outstanding maintenance issues? A number of new rules around Section 21 notices came into force in October 2018, and one of the most significant was a measure aimed at stopping ‘retaliatory evictions’. This is where a landlord bins off their tenants to avoid dealing with maintenance issues that the tenant has flagged – or as revenge for the tenant making them spend money on repairs. You can’t serve a Section 21 notice if you’ve got an outstanding ‘improvement notice’ from the local authority. These arise when you’ve been reported to the council for failing to deal with maintenance issues, and are a way for the council to force you to do the work. Even if you’ve completed the repairs, you still can’t serve a Section 21 if you’ve received an improvement notice in the past six months – providing tenants with an extra measure of protection from pocket-sore landlords looking for payback. What’s the process for serving a Section 21? The process is actually relatively simple. You need to fill out a very short bit of paperwork called form 6a, and then make sure your tenants get it. Since it’s an important piece of paperwork, it’s worth hand delivering or sending it by registered post, and filling out a certificate of service. This will be important if you end up going to court later. What are the next steps if my tenant won’t move out? In an ideal world, you’d do everything mentioned above, your tenants would find a new place to live, and they would pay any outstanding rent and move out without any acrimony before the specified date. Most of the time, this is the way it goes, but sadly not always. If your tenants haven’t moved out by the time the notice period on the Section 21 expires, you can apply for a possession order. A standard possession order costs more than £300, and you’ll probably end up in court, so it could rattle on for a long while – quite possibly with mounting arrears. All of which means it’s only really worth using if you’re owed a lot of rent. If you aren’t owed any rent (or have decided not to pursue it for whatever reason), you can use a comparatively quicker and easier process called ‘accelerated possession’. You can only do this if you’ve served a Section 21 notice properly and you aren’t looking for any rent repayments. 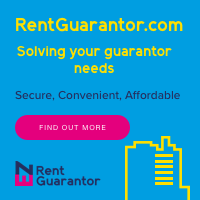 The application costs £350, and while it’s unlikely there will be a court hearing unless your tenants raise any major issues, you could still be waiting a couple of months to get your property back. It’s worth bearing in mind that when you serve a tenant with a Section 21 notice, you’re essentially making them homeless. Even with a two-month notice period, some tenants may have trouble finding a suitable property to move into, so if it’s looking like they’re not going to be out in time, it might be worth having a chat and seeing if there’s a compromise you can reach.